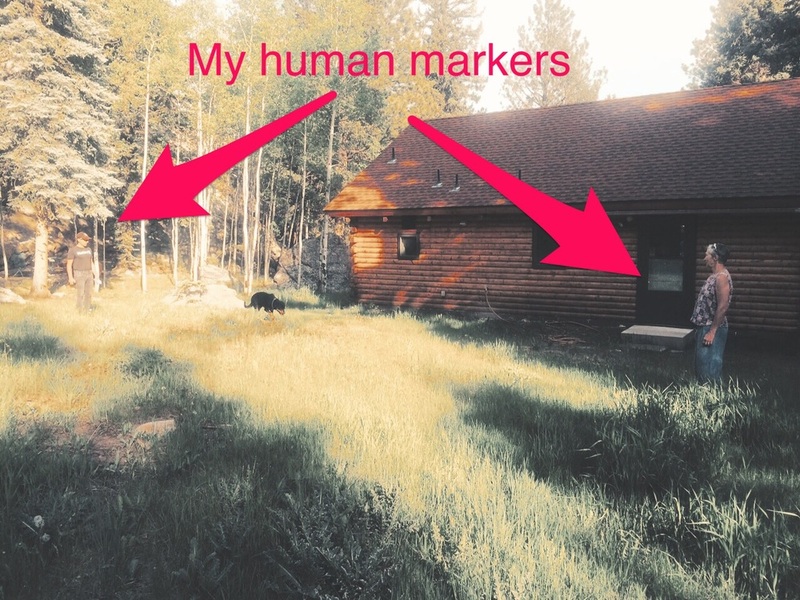 Great location for parking in the heart of Nederland. 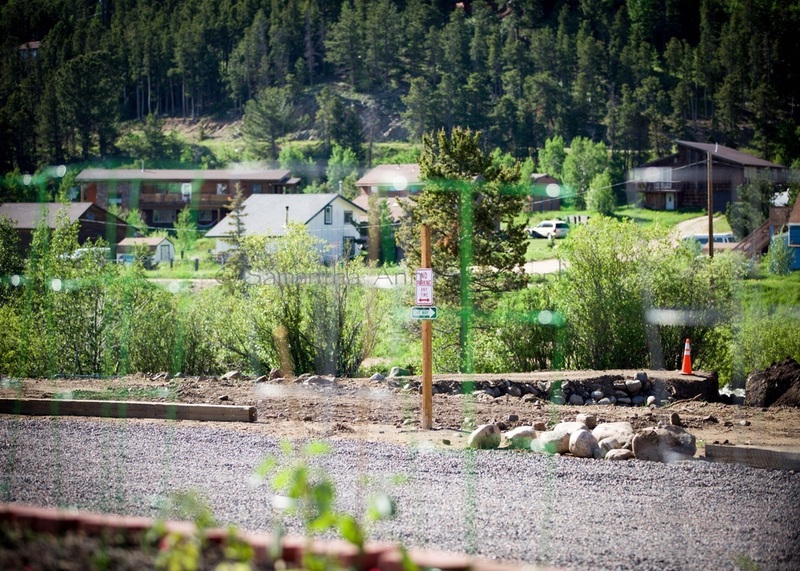 This location will have places to eat your lunch and enjoy the beautiful mountain air! Extra parking for some great local business. parking on both sides, one way entrance. Doing work with local businesses helps the local economy which means a wealthier community for all of us. Not only that but our services are top of the line. 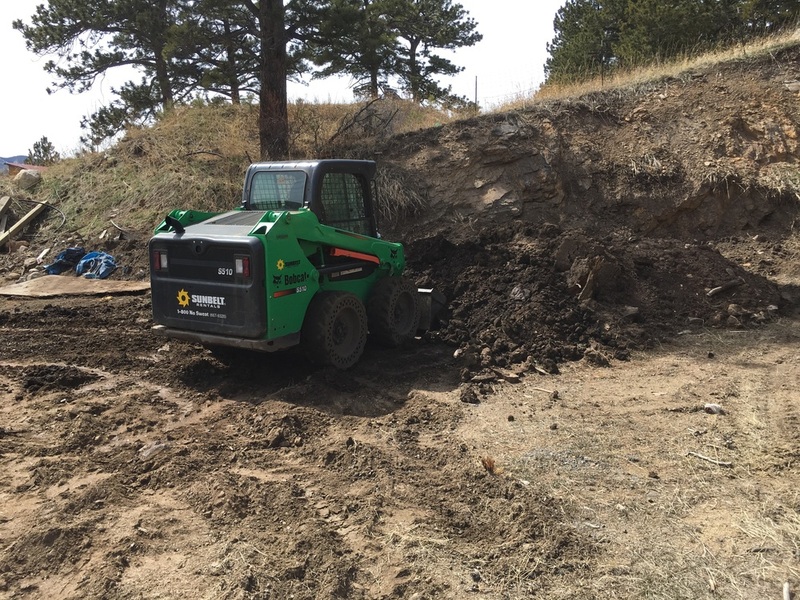 Let us know if there's anything we can do to get our hands and shovels dirty on your project. We're your Get-it-done team. 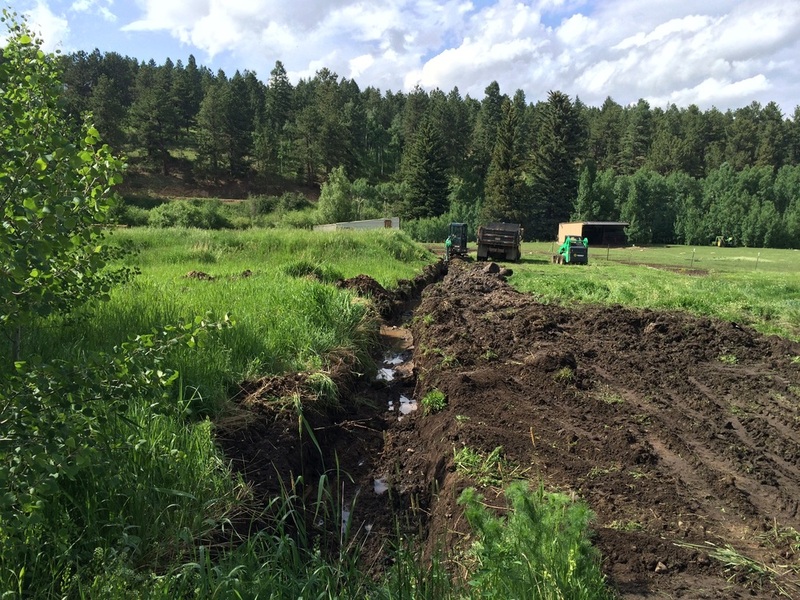 We're digging French drains to manage the wetlands and prepare for a house site and greenhouse site. This summer we've already moved close to 10 sheds for customers. We've used all sorts of different mechanics to get the job done but we've gotten it done every time. 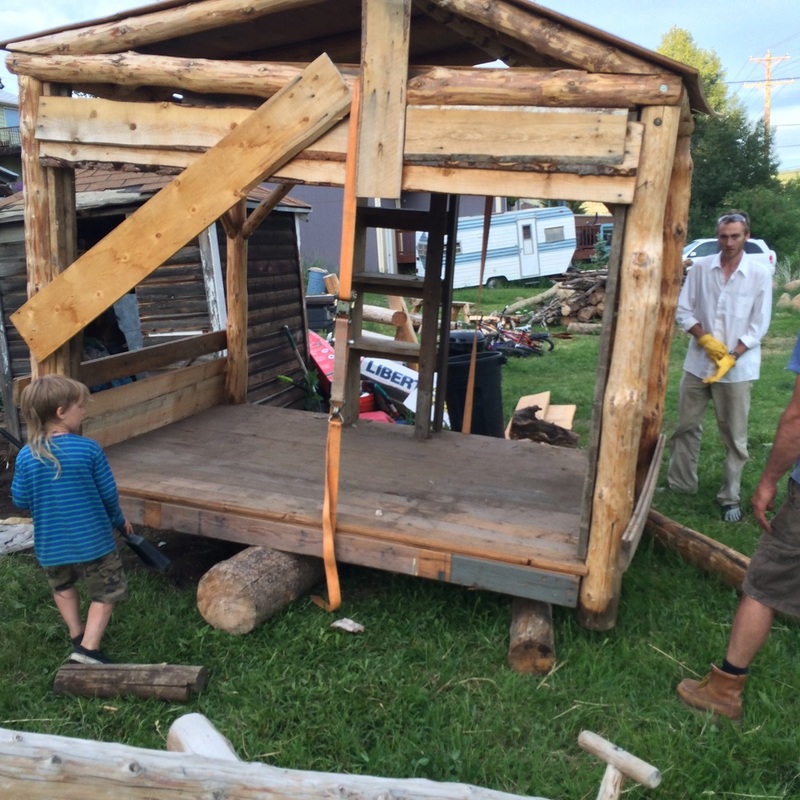 We've used cranes, excavators, and good ol' fashioned brains and leverage and log rollers at times. If you have a shed or large heavy object (including boulders or tree stumps) that you need moved, please don't hesitate to call or write us an email. We just lifted this industrial camper topper onto a trailer yesterday. It's for sale by the way. Here's a low tech way to move a shed. Afterall, machines are one of the pinnacles of modern man's great achievements. A new project came in that I've been able to mostly sell and mostly run solo and I'm lovin' life. Opportunities for growth abound with my latest Comrad in arms (tractors) and Meyers Services owner, Jeramy Meyers. Today I dug this flagstone patio pad for 6 hours listening to dance party 2015 hits on Songza. Jam this playlist and imagine running a mini excavator for 6 hours in a beautiful East Magnolia mountain Eden. Then you'll see why I'm loving life right now as I help Jeramy build a first class business. Business is booming. We're handling new projects and expanding our capacity with each one. We recorded my dig corners within the first 10 minutes of our visit. Time to get some major work done with the mini excavator. 8 hours later a lot of dirt was moved. Now to remove the dirt with the dump truck. Top soil for sale. Who wants a dump truck load? Boom! Thank you very much. This is an easy solution that makes use of materials on hand and locally sourced flagstone. We love doing River Restoration. Check out these pics and you'll see why. Doesn't it look like fun. We also just love connecting with nature in our work and restoring the environment to its natural state of beauty.